My main gripe with the EarPods was that I lost a pair to what became earwax, dust, dirt and lint clogged up in the mesh protecting the ports. 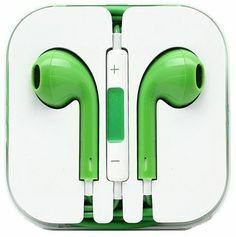 After a while, I couldn't hear much out of them and because they were included with my iPhone, I didn't feel super compelled to treat them super carefully anyway.... My main gripe with the EarPods was that I lost a pair to what became earwax, dust, dirt and lint clogged up in the mesh protecting the ports. After a while, I couldn't hear much out of them and because they were included with my iPhone, I didn't feel super compelled to treat them super carefully anyway. Rated 5 out of 5 by Frysie from Apple don't cut corners Been on the lookout for some wireless ear phones for some time to marry up with the iPhone 7 and the Apple Watch, read the reviews and decided to take the plunge and glad I did, perfect partner for the watch and the phone.